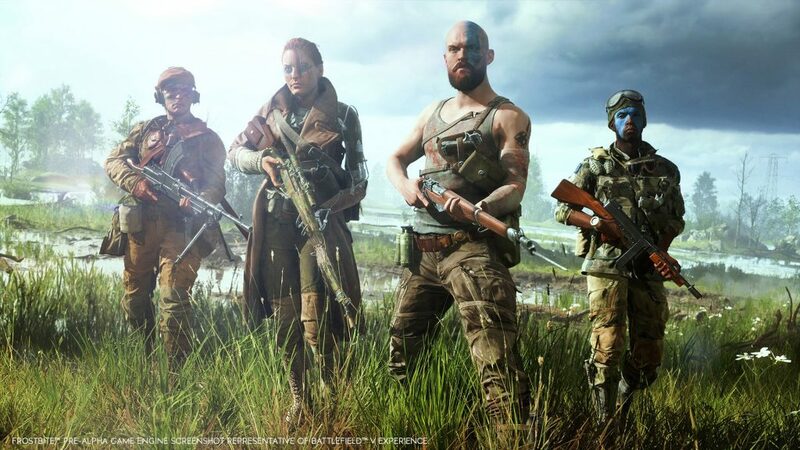 Six months after it was released onto the unsuspecting public, Battlefield V is finally getting proper microtransactions. As of today, the game will allow you to spend your hard earned money on things like cosmetic items and time savers. Phew. All of that will be done via Battlefield Currency, a middle-man between your cash and the items you want, and also a strong contender for the Dullest Name I’ve Ever Heard grand prix. So, Pretend Money will be used to purchase cosmetic items, elite sets and time savers. The latter two will become available at a later date, so for now, you’re stuck with clown suits and gang-affiliation bandanas. According to the FAQ, you’ll be able to grind for these items in-game as well, so it’s a pretty inclusive deal. Poor people should be allowed to dress up, as well. Elite sets will be coming in Chapter 3, and they’re going to be complete reskins. Each one will let you play as a specific soldier, with a meticulously detailed costume set, unique equipment, voice overs and animations, as well as a backstory to wrap it all up in. Playing as an elite won’t give you a gameplay advantage, mind you. The first two will be called Seamus and Ernst, and they’re supposed to reveal more about the pair soon. Finally, time savers. As the name implies, they’re a tacit admission that the game is a chore and might not really be worth your time. They include XP and tier boosts, which let you circumvent the game’s tedious progression system with money. Considering that a large part of the community feels this is the least grindy Battlefield game in a long while, including these is a bit of an odd choice, really. If you’re not strapped for cash and don’t like choosing what you spend your money on, you can get one of the “value” bundles which include a bit of everything – Pretend Money, outfits and weapon skins.